Dames Collective - This intimate group of women (capped at 50 members!) host monthly meetups and gatherings all around San Diego. In their words, this is the “ultimate networking group for this generation’s female leaders, entrepreneurs, and innovators.” Membership fees apply. Sample Event: An open brainstorming session about guerilla marketing held at You & Yours Distillery. Gals That Brunch - With over 55 chapters around the world, Gals That Brunch hosts intimate brunches for women predominantly in their 20's and 30's. They're headquarted in SD, and we all know San Diego has tons of delicious brunch fare. Sample Event: Brunch at Great Maple, complete with allll the maple bacon donuts. Happsters Squad - Kelli Pease has created an incredible community of happiness and inspiration over at @happsters. Now, in her newest venture, she cultivates groups of 18-20 girls for good vibes and deep connections. Sample Event: A sunset picnic with rose and a floral sage DIY project. 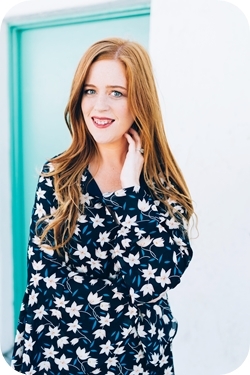 Lady Killas San Diego - Lady Killas are devoted to the growth of female leadership in the workplace, and founder Courtney Wall has created a positive, powerful platform with monthly networking and speaker-led events. These events are super accessible to all (most being free or $5!) so you can’t afford to miss one. Sample Event: Lauryn Evarts of The Skinny Confidential spoke to the crowd all about confidence. Levo San Diego - Levo is a community of professional millennial women. I attended my first event with them recently and was blown away by how nice everyone was. The San Diego chapter hosts many fun and completely free events. DREAM | DRIVEN - If you’ve ever wanted to be a part of a mastermind group, DREAM | DRIVEN’s intimate roundtable events are for you. Hosted nearly every month, the platform that co-founders Marie and Michelle have built is incredible for fostering deeper connections and inspiring growth for your business. Sample Event: You’re paired with a small group of entrepreneurs at a table, and a facilitator keeps time as each person is given 20 minutes to seek advice and ideas from the group. San Diego Business Babes Collective - Launched in August 2017, the San Diego chapter is bringing women together for quality connections and collaboration. I’m excited to see what events these ladies have in store for 2018. Sample Event: Open networking at a local boutique with drinks, treats, inspiring speakers, and a photo booth. San Diego Micro Meetups - Krystal organizes small gatherings of ambitious women that are thoughtfully curated and a blast to attend. Pricing is affordable and all events are limited in size so that there’s an opportunity to get to know the other ladies. Sample Event: 1 hour of open Q&A with 2 business coaches, followed by a rooftop vinyasa yoga class at a co-working space. San Diego Style Bloggers - If you’re a fashion blogger, you don’t want to miss the opportunity to connect and collaborate with these fierce ladies. They occasionally host events in partnership with local boutiques and brands. Hashtag your outfit photos on Instagram with #SDStyleBloggers for a chance to be featured on their account. Sample Event: A private trunk show with exclusive discounts, hosted pizza and cocktails. She Rocks - What began as an intimate networking event in the fall of 2016 has grown into a freaking fantastic, large-scale networking group for creative women in business. My first She Rocks event was insanely memorable and I look forward to future events. They have a lot planned for 2018, so keep an eye out! Sample Event: 100+ woman networking party with bites, cocktails, a braid bar, and shopping. Tone It Up San Diego - If you’re a fan of Karena and Katrina, or just happen to love a good sweat, this encouraging Facebook group will connect you with local San Diego women (most in their 20’s and 30’s) who share upcoming fitness events and gatherings. Sample Event: Private class at a barre studio with mimosas served afterwards. Tuesdays Together San Diego - A division of Rising Tide Society, Tuesdays Together hosts a monthly meetup (on a Tuesday!) with a new theme for discussion. There’s often times 1-2 speakers, and casual conversations that follow. If you identify as a ‘creative’ or a ‘maker’, you’ll fit right in! Sample Event: Networking at a co-working space, followed by a speaker sharing her advice on client experiences. The WE Society - WE (Women Entrepreneurs) cultivates structured panel-style events every quarter. Speakers share all their best secrets and tricks to success. They always choose a quality group of panelists and host many of their gatherings at the industrial-chic space, Moniker Warehouse. Sample Event: Drinks and appetizers from Little Lion Cafe, and a 3-gal panel. Let's Chat: Have you attended an inspiring networking event recently? Do you run a local networking group for women that wasn't mentioned in my post? Leave a comment and tell me all about it!